E is for Explore! : Punctuation Race! Awesome game idea from Collaborative Learning! Print out the cards below on cardstock (as many as you need), each player gets 5 cards. One player begins the game by starting a sentence. He says a single word, such as "I." Then, the next player says one word, such as "went." Then the next player and so on. Each kid contributes one word to make a sentence. The goal of the game is to be the player who completes the sentence. 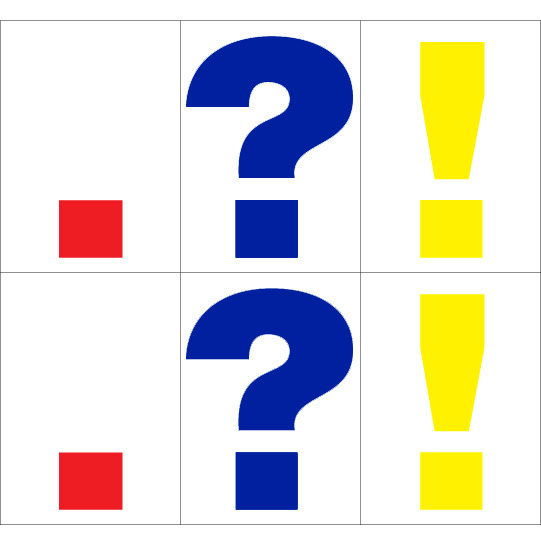 Whoever finishes the sentence slaps one of their punctuation cards in the middle of the table. If they used the right punctuation card, they leave it in the middle of the table and turn it over. The winner of the game is the player who gets rid of all of their punctuation cards first!